Winter. It can be a little daunting with too many holiday parties and too much snow. But, it’s also a gorgeous time of year to cuddle by the fireplace or go for a scenic hike together. 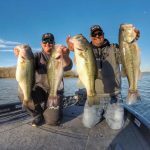 The warmer months aren’t the only times for a beautiful trip to Kentucky Lake. We have activities and accommodations available year-round. 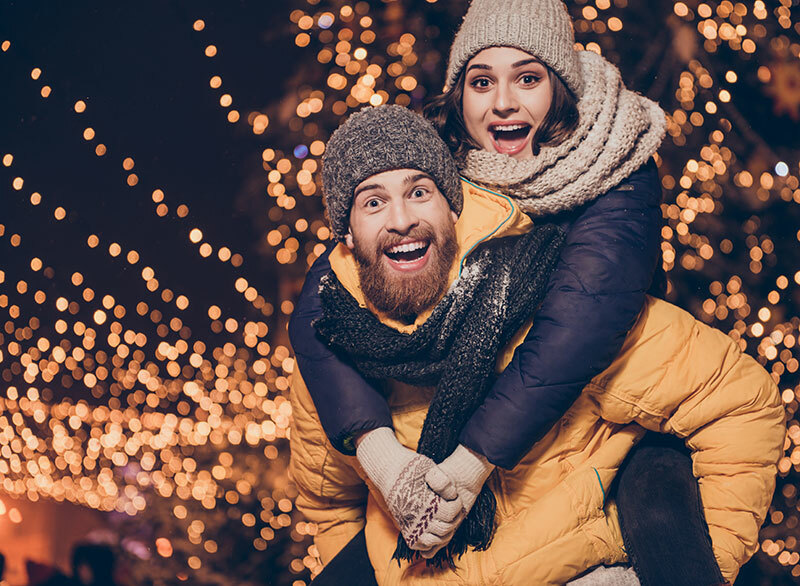 Whether you’re needing a holiday date night, a New Year’s Eve getaway or something to look forward to in January, we have ideas already planned for you. You know your spouse or significant other better than most, so if they’re not one for surprises work with them to build the plan. But, sometimes just planning the getaway and letting them know you’d like to spend a weekend away can be a source of anticipation and excitement for them during the more mundane months of the year. Are you renting a cottage or cabin on the lake? Bring them breakfast in bed one morning. Or, stock up on their favorite coffee or hot chocolate to have one night cuddled on the couch. You could even call ahead and have flowers delivered to your hotel room or cottage to surprise them when they walk in. Leave an invitation for a dressy dinner on their pillow one morning. Even if it’s just on a post-it note, they’ll love it! 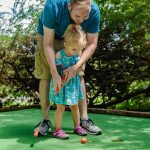 Here’s a full list of places to eat around the lake. Be creative with the little details of your trip to show them how much you listen and care. Attend the Kentucky Opry Country Christmas Show. This show has a wide assortment of songs and styles. You’ll hear your favorite country Christmas Classics, a telling of the biblical story of Christ’s birth and more! To make reservations call ahead. A local tradition is walking through Patti’s Festival of Lights in Grand Rivers. You can see this light display from 4pm -10pm through January 13, 2019. Mike Miller Park in Draffenville also has a beautiful lights display you can drive through now until New Years Day. 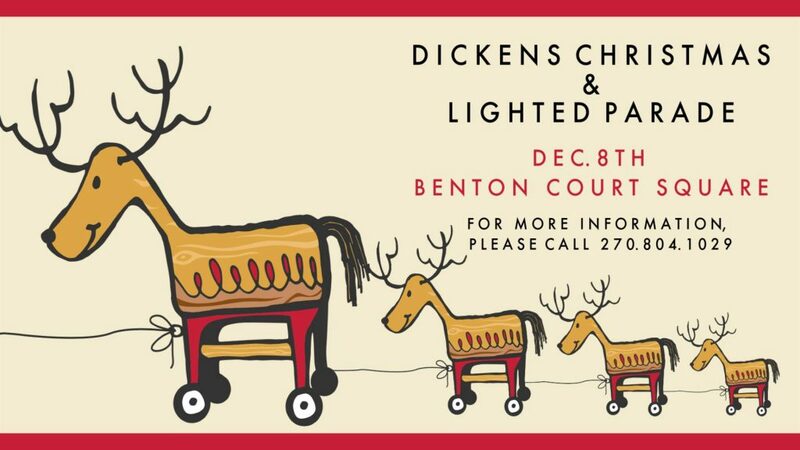 Dickens Christmas Festival & Lighted Parade is on December 8th in Benton, KY. Event-goers can decorate ornaments and visit with Santa and some other famous Christmas Characters. You can grab a bowl of chili for supper and other refreshments donated by local organizations in Dickens Alley. Then, participate in a Power Wheels car show and watch a parade light up the town! Events begin at 3pm and the parade officially begins at 6:30pm. Plan for an extra special New Year’s Eve at Kenlake State Resort Park. You can pick your party! Choose the overnight package you like best, which includes tickets to see one of two live bands, dinner, cottage or lodge accommodations and more! Learn more or call now to make your reservations. Ring in the new year with a little exercise and beautiful KY Lake views! Kenlake State Resort Park is hosting the First Day Hike. Start the new year right, but be sure to dress extra warm! Learn more here. Do you want something to look forward to in January? This is an extremely popular cruise offered by the Kentucky Dam Village State Resort Park. January 11-13 they have Eagle Watching cruises available. Book your reservation now before the spots are all filled by calling 270.362.4271. If those dates don’t work for you, Kenlake State Resort Park will be hosting their Eagle Cruise package February 1, 2 & 3. These packages at our state parks include lodging, meals and an Eagle Tour on the CQ Princess yacht! Visit parks.ky.gov for more details or call the park at 270.474.2211. Winter can be a really fun time to go camping under the stars. It’s not for everyone, but if you’re avid campers, this can be a little challenging and a lot of fun for both of you. 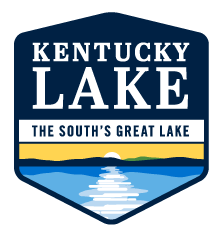 Find Kentucky Lake campgrounds here. Kentucky Lake also has plenty of lake homes, cottages and cabins available for those wanting to stay warm and cozy during their getaway. 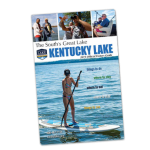 Winter is a great time to come see KY Lake. It offers a completely different experience than the summertime, but just as memorable for you both!